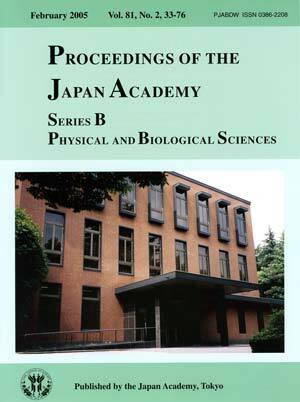 Established in 1879 and located since 1886 in the Ueno Park, the cultural area of central Tokyo, the Japan Academy started publishing the Proceedings in 1912. The Academy members meet once a month except the summer season to elect new members, to decide on Japan Academy Prize winners, and to discuss other Academy activities. 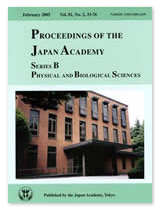 In addition, members introduce scientific papers at the meeting, and those papers are published either in English in the Proceedings of the Japan Academy or in Japanese in the Transactions of the Japan Academy. Awarding the Japan Academy Prize is the most prestigious activity of the Academy. The Academy awards the Imperial Prize and the Japan Academy Prize every year to honor outstanding scholarly achievements in science. In addition, the Duke of Edinburgh Prize is awarded biennially, specifically in the field of ecology for protection of wildlife and preservation of biological species. The latter prize was established in 1987 with a generous donation from the Duke of Edinburgh. The awarding ceremony is held at the Academy in the presence of their Majesties the Emperor and the Empress. The Academy building on the cover was designed by Yoshiro Taniguchi, one of the best known architects of Japan in the 20th century and constructed in 1974. The building has three stories with a basement. The caption is written by the office of the Japan Academy.